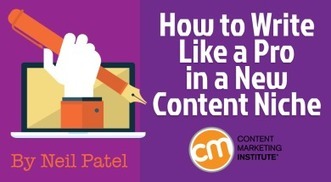 Here’s how to pivot your style and approach to write informative, engaging content in a new niche – Content Marketing Institute. I want to share this great, very detailed article on creating content for a niche. Although not specific to law firm marketing, the concepts are the same. One thing you should be doing is to monitor the most popular articles on your own blogs, in order to provide more of that sort of content. In this article, you’ll learn how to do the same for other blogs, in order to increase your awareness even further.